Every day is a blank slate, if we greet it empty of the experience of yesterday. 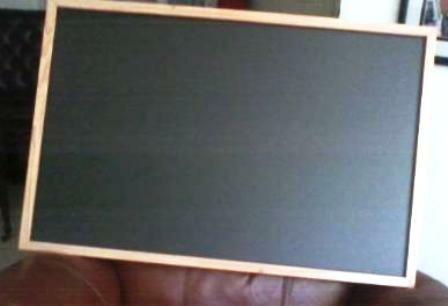 Some time ago, I purchased a blank slate—chalkboard—as a visual, tactile reminder. It matters not whether I note an experience in chalk dust. It is the image that frames my daily dose. My day is not a chalkboard checklist; it is an ever adjusting energy—an aim for equanimity–amidst the swirl of chalk dust. I cannot imagine an equanimity environment that does not begin as blank. Literally and figuratively, my slate opens me to the moment, ready to be written upon–perhaps, even to change. Out of the dust of one experience another emerges, ephemeral but never-ending. When my slate is no longer blank–chalk dust full of moments past–I wipe it clean. Often, I think of the sand mandala. My slate is not the precise beauty or the complete story of the mandala nor will it ever be. Mine is a single day in the practice of equanimity, life in the moment, trusting in the transitory.